The designers at Scruggs believe the carpet you choose for your home or office is truly a reflection of your lifestyle. We’ll introduce you to the countless feature and style combinations that will work with your budget and lifestyle to ensure you end up with the perfect flooring solution for your project. At Scruggs Lumber, making the sale isn’t our end-game. 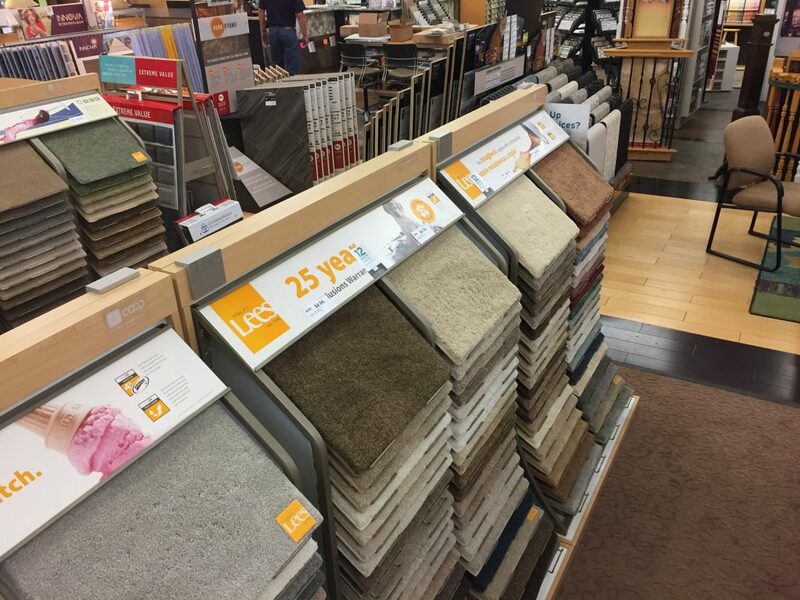 We combine our expertise with real-life experience when walking you through our products, introducing you to the various carpet types, strengths and thicknesses you have to choose from. When you come in, we’ll take you through our wide range of colors, textures and functionality features to match exactly what you have in mind. Replacing my carpet means I have to replace my padding too. Many homeowners purchase a home and have no idea what’s underneath their existing carpet. Some go in to rip up the old carpet pad and find high-quality padding manufactured to last a lifetime. Our experts will provide you with the insight to know whether you should keep your existing padding or if you should replace it. I shouldn’t get carpet because my kids and pets will ruin it. We offer stain resistant carpets manufactured to look as gorgeous as they feel proven to hold up to years of wear and tear. For instance, ResistA ® SoftStyle is an unbelievably soft and long-lasting option that repels stains and cleans up easily while retaining its brilliance, comfort and beauty. Ask us about the Rhino test! Interested in how much your dream carpet will cost? We’ll come out and measure your space then provide you with an estimate based on the options you select. You can expect a clear estimate of what your carpet will cost in around 4 days. 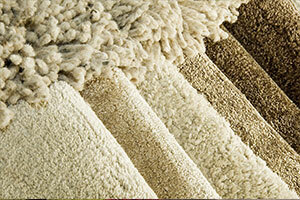 Our carpet manufacturers provide different warranties based on your carpet selection. One of our experienced staff can provide additional information throughout the process of selecting your carpet flooring. Our installers are the absolute best at what they do. They work respectfully and efficiently in your home or office building throughout the installation process, with a priority of maintaining a clean work space. 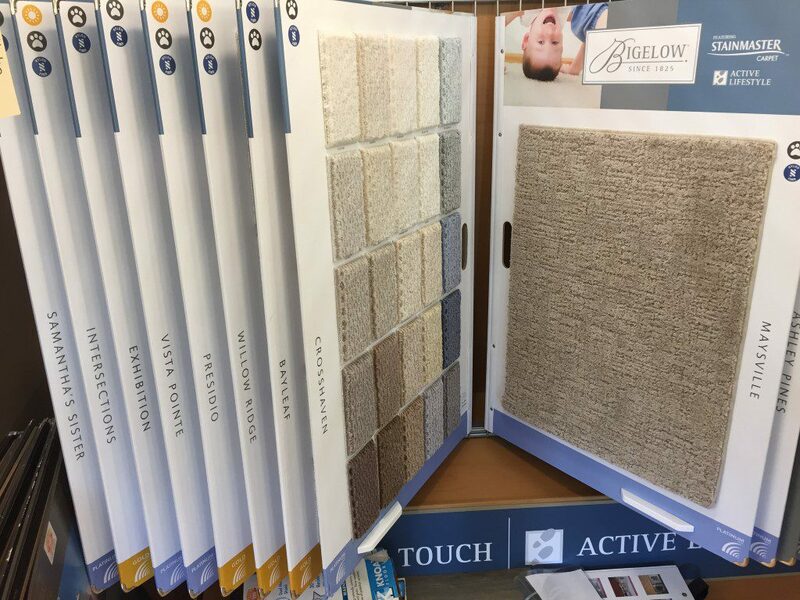 Their professionalism keeps them in very high demand, so if you’re considering a carpet purchase for your home or office soon, we encourage you to take an active approach in making your purchase and scheduling installation sooner rather than later.